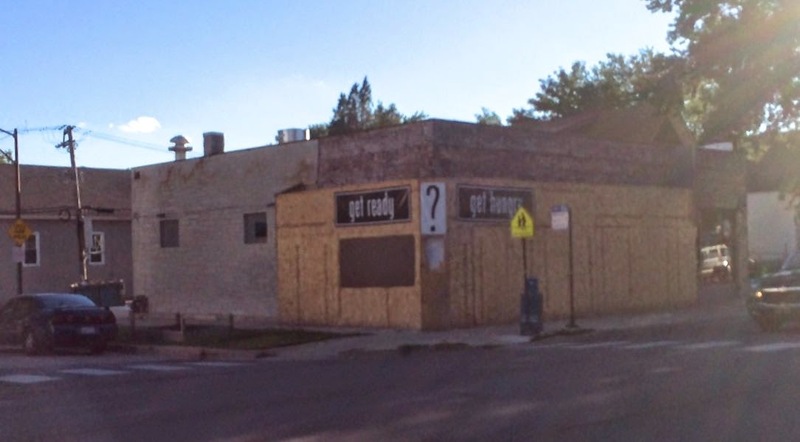 The signs on the construction barricades of the former Dorado restaurant at the corner of Foster and Oakley say "get ready", "get hungry", and "?". What is it going to be? To my eye, the font and design of the signs looks similar to that of the Weber Grill company. Could this be a new location for the Weber Grill Restaurant? There was a new concrete pad poured in the rear recently; it looks too big and prominently close to the street to be a loading dock, but too small for an outdoor seating area. Perhaps an outdoor grilling area? Whatever it is, as long as it's delicious we'll be happy to have this mysterious new restaurant in our neighborhood.